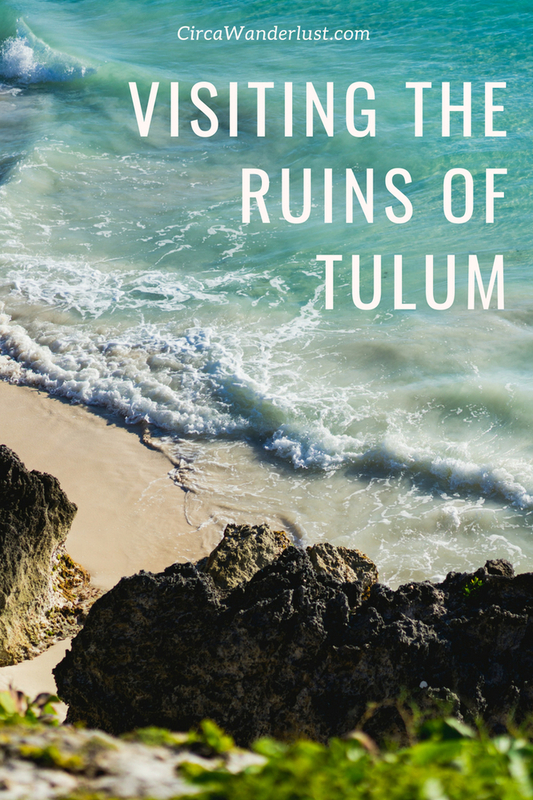 The ruins of Tulum will take your breathe away. Even if you aren’t a history buff, there is something about seeing the remanence of ancient structures against the contrast of clear turquoise waters. The site forces you to wonder about a time before modern technology as you loose yourself to the sea spray breeze. 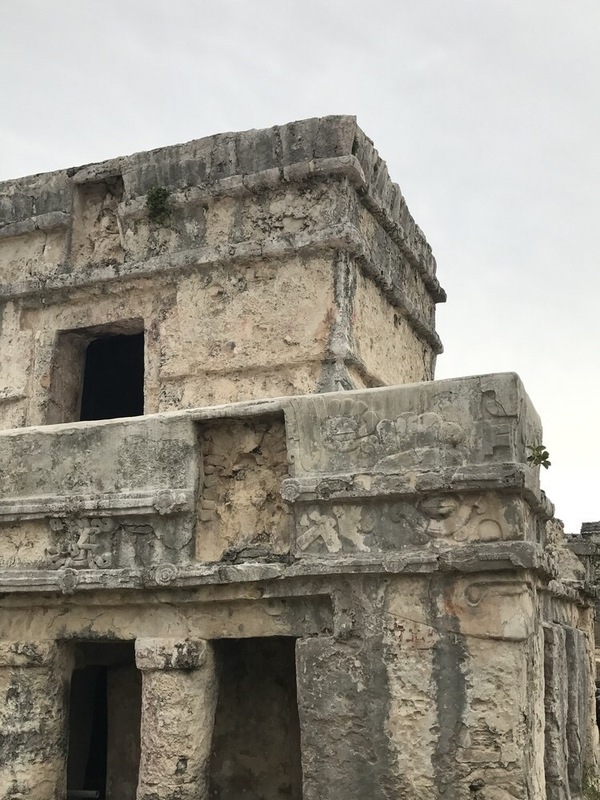 There are hundreds of Mayan ruins throughout Mexico, Belize, Honduras and Guatemala, but those on the Yucatan Peninsula are some of the most impressive sites. The ruins of buildings that you see today are thought to represent roughly a tenth of the original city. 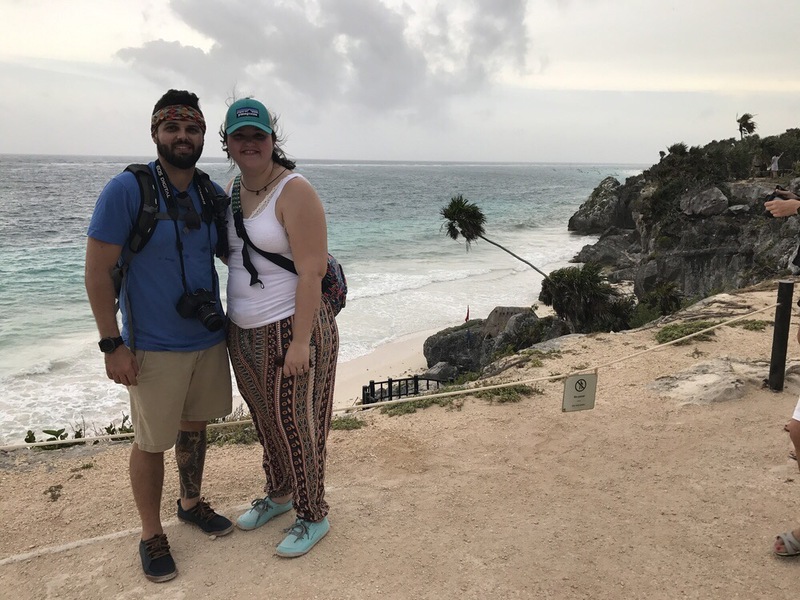 And with it being so close to Cancun, it is a popular destination for large groups which means that if you want to beat the crowds, get there early. Tim and I got to the ruins right before a rainstorm hit so there were less people than we expected in the middle of the afternoon. It was also incredibly windy and the sky was grey, which made picture taking a little more difficult than I would have liked. 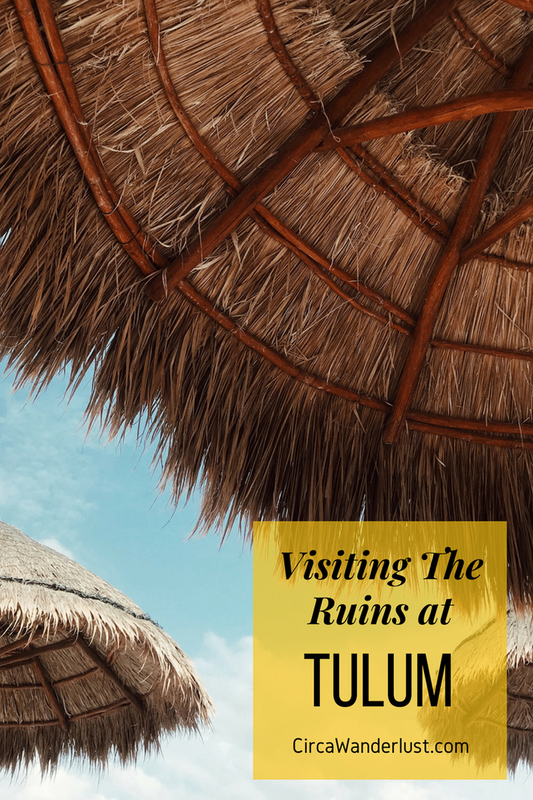 If you are staying in the Tulum area, visiting the archeological ruins will be easy! You can get there by taxi or even by bicycle. If you are a little further away like Tim and I were, a bus is easy to catch too. 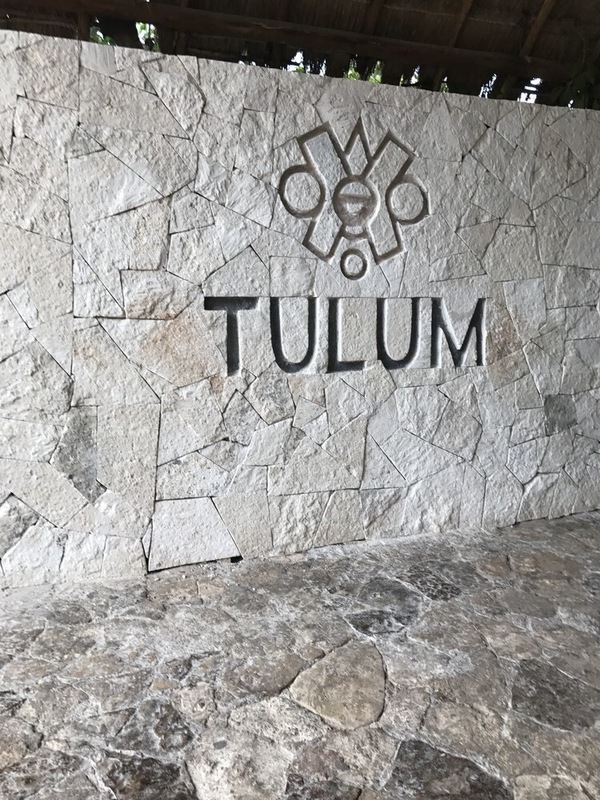 You can read about how we got to Tulum from our hotel here. If you do want to combine the Tulum ruins with other activities and make a day of it, you do have a few choices. 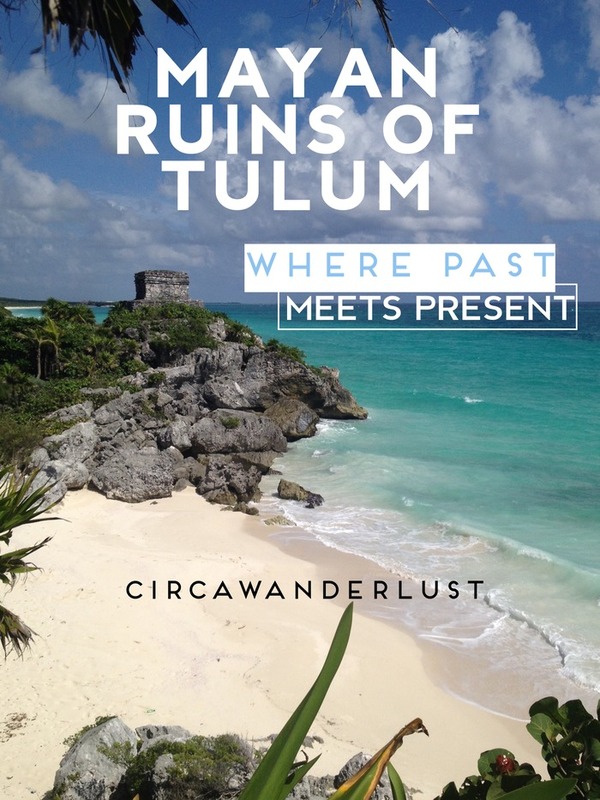 The greatest attraction at the Tulum Ruins is its location. They were built on a bluff facing the rising sun. The Tulum ruins are the only ones built by the sea, so wear a swimsuit and head down to the beach after you explore! Tulum means wall in Maya. 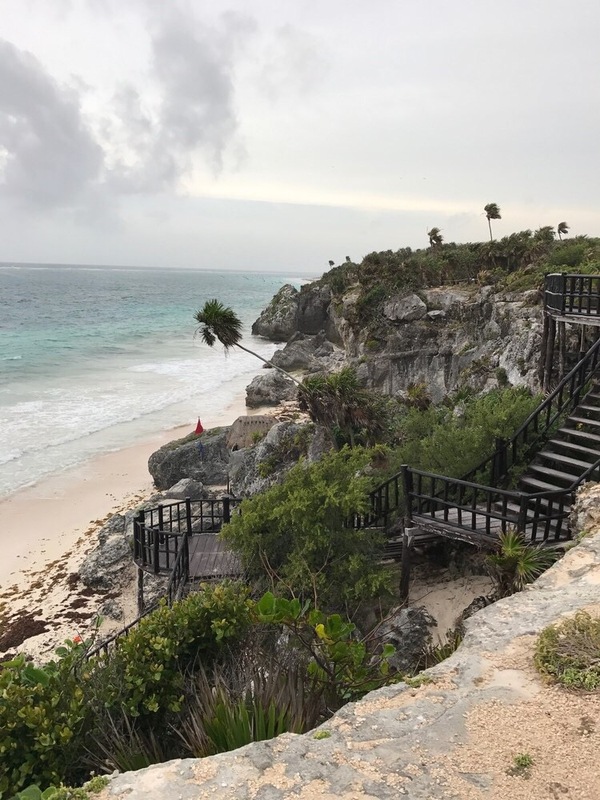 And the town’s original name, Zamá translates as “Place of the dawning sun” which only makes you wonder what an ancient sunrise looked like on the cliffs to Tulum. 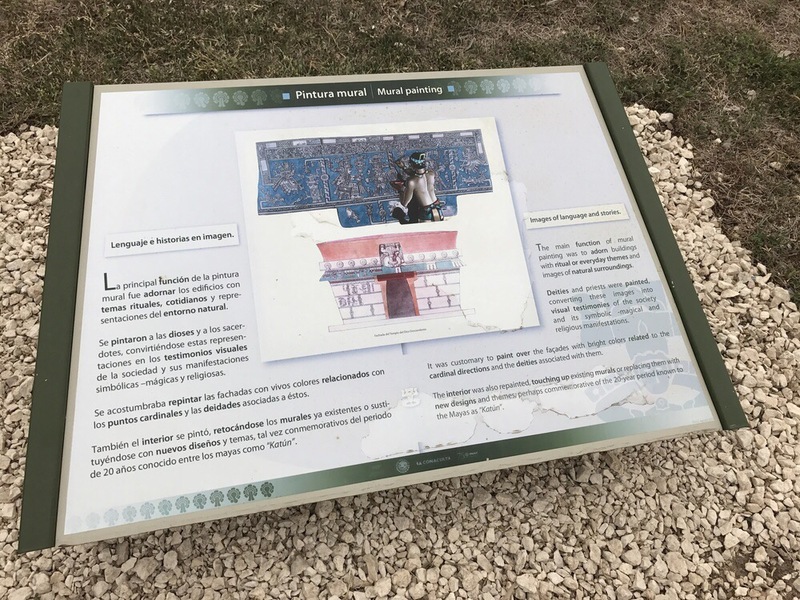 The site honored the “diving god” or “descending god” and “the god of the bee”, an important insect for the Maya that is still evident today. This site was the primary location for the Maya’s extensive trade network where both maritime and land routes met. Artifacts have been able to confirm contact with Central Mexico and Central America.During its splendor, Tulum was a major trading post for both neighboring city-states such as Chichen Itza, Ek Balam and Cobá as well as to other communities and their entities to the south in what is now Central America. 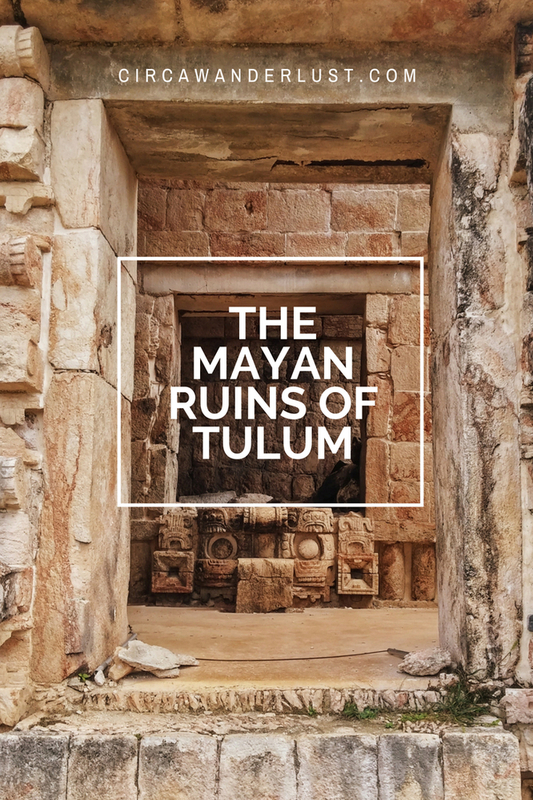 Each Mayan city had a specific purpose, and Tulum was no exception. It was a seaport, trading mainly in turquoise and jade as archeological evidence has suggested. Tulum had an estimated population of 1,000 to 1,600 inhabitants. 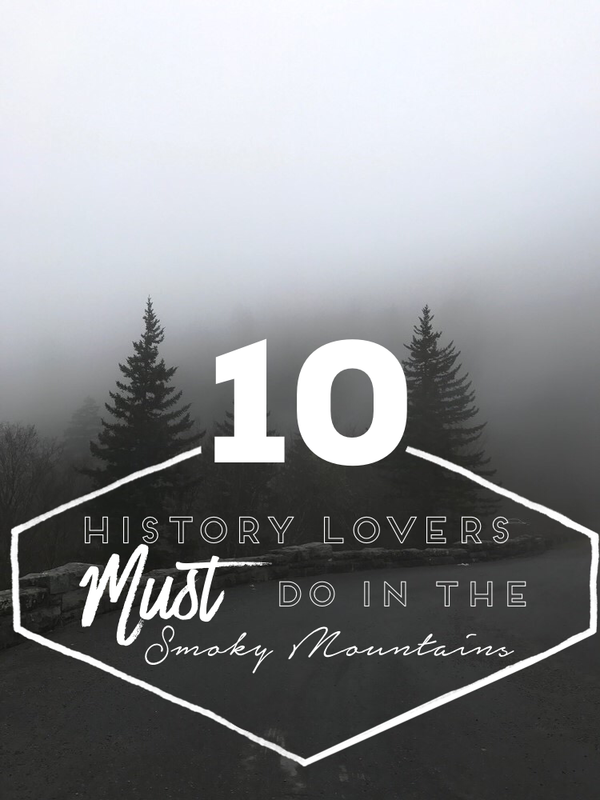 No more than 1,600 ever lived there at any given time, which leads us to believe that the site was more of a religious and ceremonial center rather than a city in the traditional sense. The site is one of the very few walled cities build by the Maya, with the walls only located three sides of the settlement as the ocean protects the eastern side. Made of limestone, the 784-meter wall is seven meters thick, and varies between three and five meters in height. There is no doubt this fortification helped preserve the seaport, leaving behind what we can admire today. 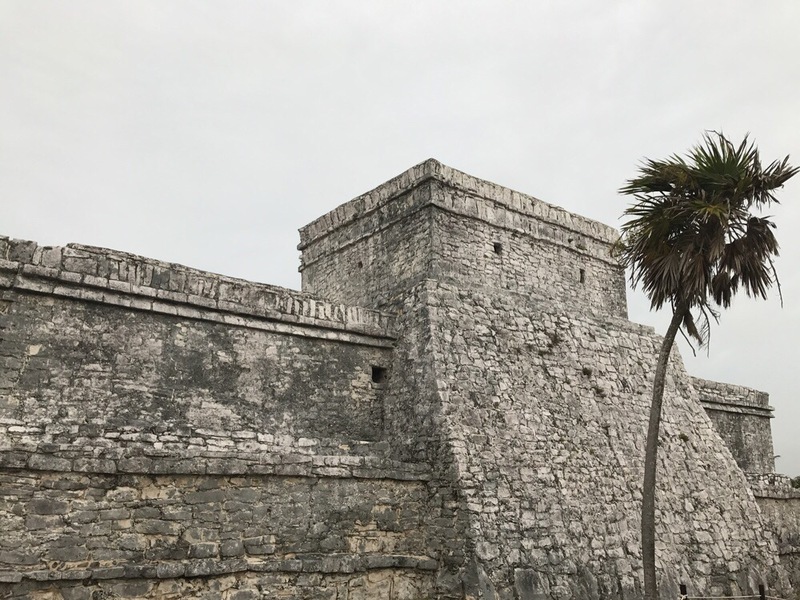 Most prominent among the remaining structures is the Castillo, or castle, which is perched on the edge of a limestone cliff that overlooks the Caribbean coast. 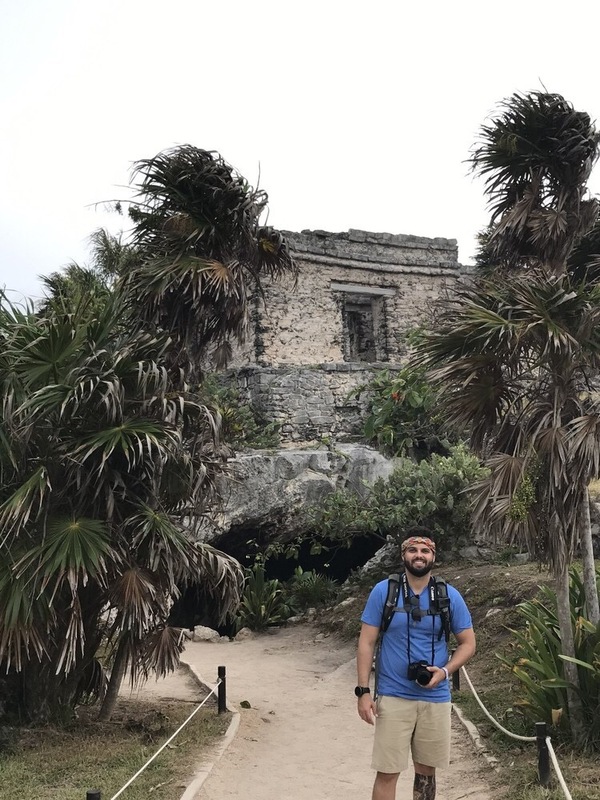 In front of this building is the Temple of the Frescoes, one of the better preserved buildings in Tulum. Peer inside the temple to see a mural painted in three sections. The first level represents the Mayan world of the dead, the middle is that of the living, and the final, highest piece, is of the creator and rain gods. 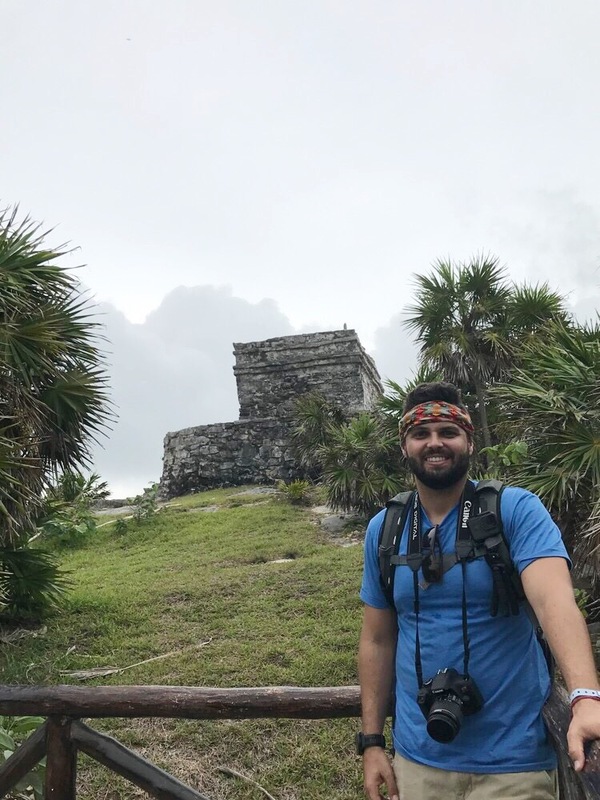 How much your visit to Tulum will cost will depend on how you want to wander these ancient testaments to the amazing civilization of the Maya. 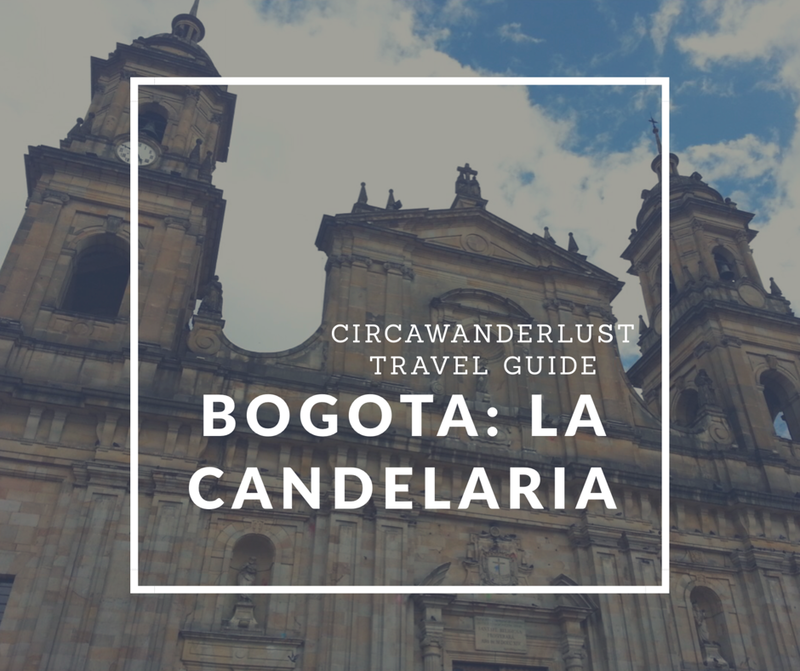 If you prefer to go on your own with no guide, the cost of entrance is just 65 pesos. Being Quintana Roo’s most known and advertised site, Tulum is not to be missed! 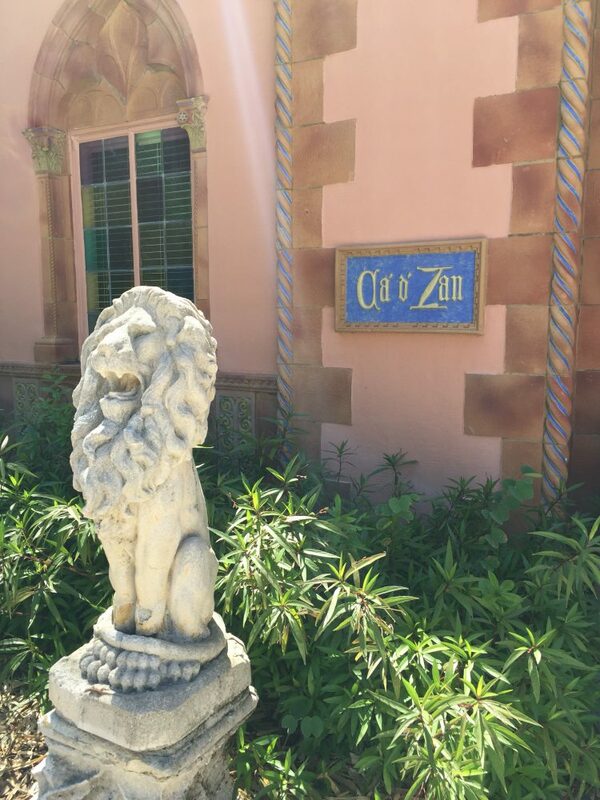 The ruins are open Monday through Sunday from 8 a.m. to 5 p.m. Bonus: Entrance is free to all archaeological sites on Sundays for Mexican citizens and foreign residents! With a little imagination and knowledge, the ruins become a giant jigsaw puzzle waiting to be solved. Piecing together what Tulum was like years ago is exciting and you suddenly feel like Harrison Ford is about to sneak up to whisk you away on a great adventure. 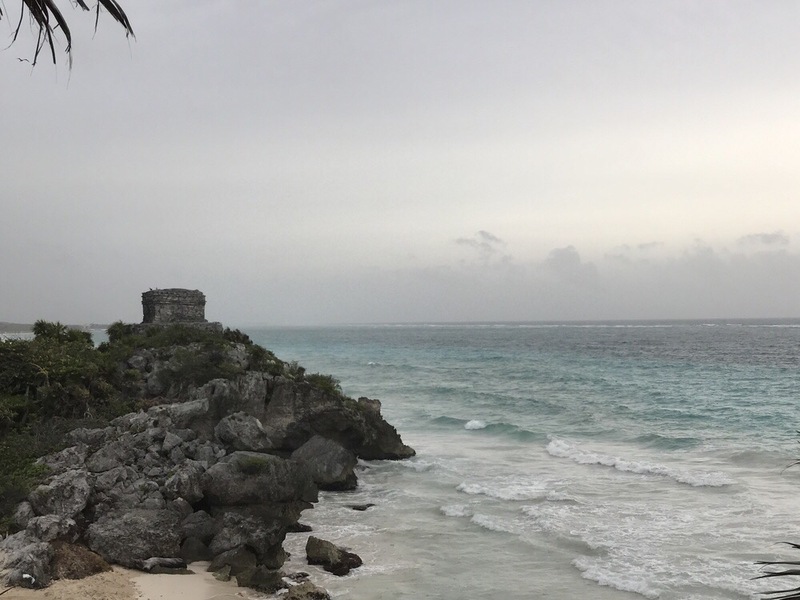 Tulum remains popular because of its elegant setting on sheer limestone cliffs above the turquoise waves that meet the sandy beach below the cliffs. 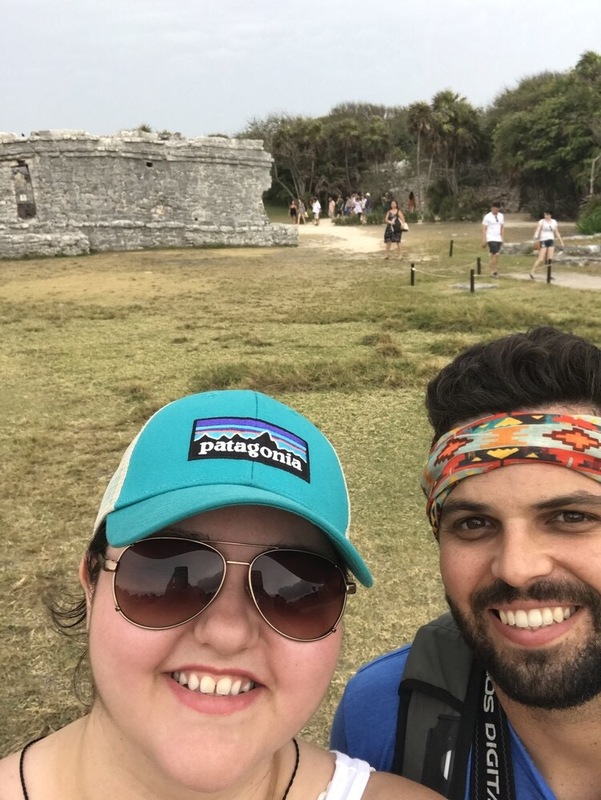 Tim and I only spent a short time in Mexico, but we’ve been inspired by so many other travelers we met that we are planning a big backpacking trip sometime next year. 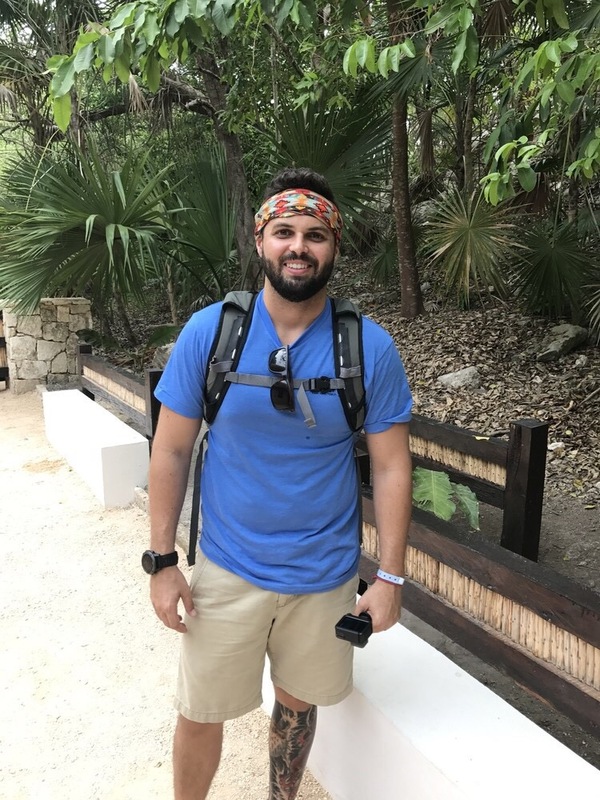 If you are planning to backpack in Mexico make sure you check out this great post by The German Backpacker that has everything you need to know! Looking for more things to do in the Riviera Maya? Check out the Ancient Mayan World Tours by Xcaret Experiences that includes Tulum, Xcaret Park, Xplor and Xel-ha. For more information about trip planning in the Riviera Maya go to VisitMexico.com.